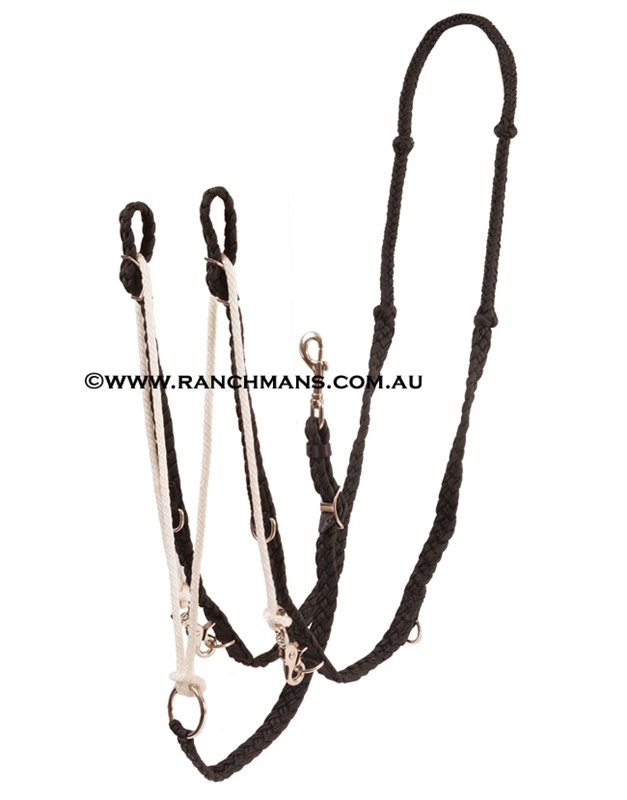 The Barrel Racer German Martingale Rein Set teaches flexion and proper head set. Has traditional martingale action, but with the longer fork has a snap-on end to pass through the bit and attach to the one of three dees on the rein. Martingale is made from a flat 3/4" x 8' braided rein with four easy grip knots, white nylon rope and nickel plated hardware.